Scholarship recipients participate in life-changing programs run by The Road Less Traveled. GOH works with scholarship recipients to find The Road Less Traveled program that is the best fit for each participant. These programs are an extraordinary opportunity to join and share with others, to explore humanity, to build deep relationships and to gain an appreciation for our world’s vast adventurous scenery and its people. Participants will grow and have the opportunity to contribute to the world in new and meaningful ways. 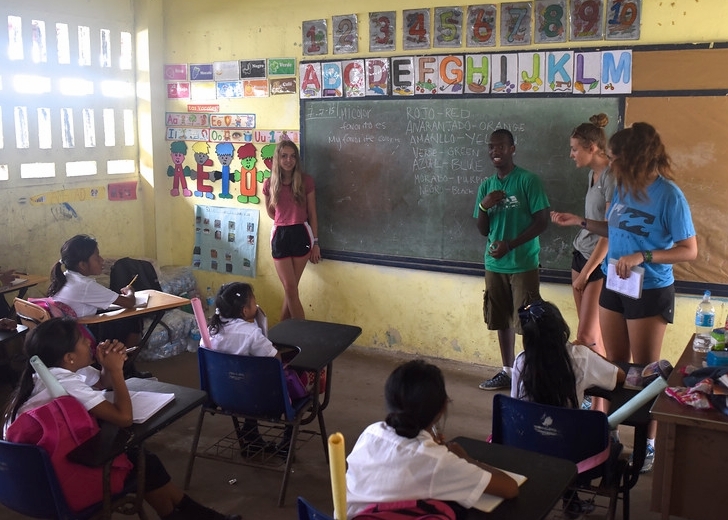 RLT programs are designed to support participants through the discovery process, growing confidence, and skills through meaningful educational programming and travel. And a Geography of Hope scholarship can open the door to this opportunity. From the reefs of Florida Keys and the mountains of Nepal. To disaster relief sights of New Orleans and villages in Africa. Scholarship students participate in unique opportunities such as working beside trained environmentalists, teaching in remote schools and climbing mountains with just the bare essentials. Students of Geography of Hope also become part of an extended family that includes staff, volunteers and The Road Less Traveled alumni who support them into young adulthood and beyond.